Ignore the the Italian subtitles, unless you want this to be even funnier. Earlier this week the New York Times told us of the happy reunion of a 23 year old woman with her birth parents from whom she had been kidnapped before she was a month old. Growing up, Carlina White never felt like her mother really seemed like what a true mother should be, which at first (and yes, I am going to hell) sounds all “oh quit being so dramatic, Carlina.” I used to have the same thought when I was 9 and my parents wouldn’t let me have a second pack of gushers after dinner. But Carlina, unlike me, never let the feeling go, and just recently she managed to FIND her birth parents ONLINE after discovering an image of herself as an INFANT on the National Center for Missing and Exploited Children website. WHAT. Being a total sucker for these kinds of stories, I was underwhelmed by the level of detail the article provided. In all seriousness, the topic of child abduction is the horrifying and morbidly fascinating type of thing that people can never get enough of. Such a violation of the natural order, these stories are always devoured by the public and the press. But abduction tales like Carlina’s are particuarly fascinating. (And so much more palatable than those tragic later-in-life abductions, too often involving tales of sexual abuse and brain washing.) Because, despite the whole illegal-abduction-of-a-human being factor, these abductions go on to look and feel exactly like an adoption. 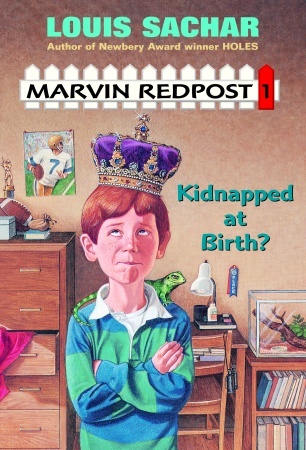 We read about these stories and can’t help but ask ourselves, wait, what if… I were secretly adopted*???? 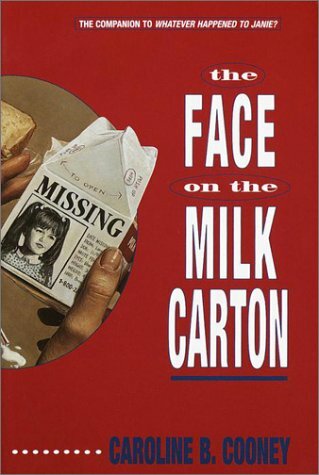 I read The Face on the Milk Carton probably a dozen times in my youth (and once, again during a particularly dull Could-Time-Be-Progressing-Any-More-Slowly Winter Break in college). So there’s Janey: being 15, just doin’ her own thing in the school cafeteria, when she sees (spoiler alert) HER OWN PICTURE on the side of a milk carton! This is prime story telling fodder! But particularly so, I believe, for adolescents. It’s a no-brainer why stories like these are dog-eared favorites in 4th grade classrooms everywhere. We are told Carlina “long had suspicions about her past.” While we are told that Carlina was treated poorly growing up (which I’m guessing means more than Withheld Gushers), the questions listed that Carlina was asking herself over the years are questions many of us asked while growing up: Do I relate to my family? Do I really BELONG here? Anywhere? Struggling to establish a personal identity against the backdrop of so many conflicting influences can be one of the hardest parts of growing up. Reconciling what your parents expect, what the cool kids are doing, what your friends are doing, what TRL (sorry, let me be more current… the Kardashians?) and pop culture are telling you is the norm is a daunting task for anyone, particularly young girls. We can’t help but fantasize about some scenario that would reconcile everything, would make this super challenging process easier. Clearly I could not be happier for Carlina. And perhaps we’ll find out more about what sort of a woman dressed up as a nurse, said kind words to Carlina’s mother, and then stole her infant only to raise the child unhappily. But probably, we won’t. And it’s not our business to, either. We have ABC Family to fulfill those kinds of needs, right Francesca? But what I am most happy for and impressed by was Carlina’s ability to not let those scary questions she asked herself growing up to hold her back in the end. To do what she did (never second-guess her instincts, reach out to strangers, completely uproot her life, presumably change her name back, right?) took guts. If Carlina can do all that, it should make all of us believe in ourselves and our right to stand up for ourselves a little more. I guess now I have no excuse not to at least stand up for myself when some douchebag gets all up on ALL MY PERSONAL SPACE on the CTA. Yeah, my life is really hard. *Speaking of me going to hell, for a year in elementary school I had convinced all my close friends that I, the lone redhead in a family of brunettes, was, in fact, adopted. Yeah. I love you, Mom & Dad!